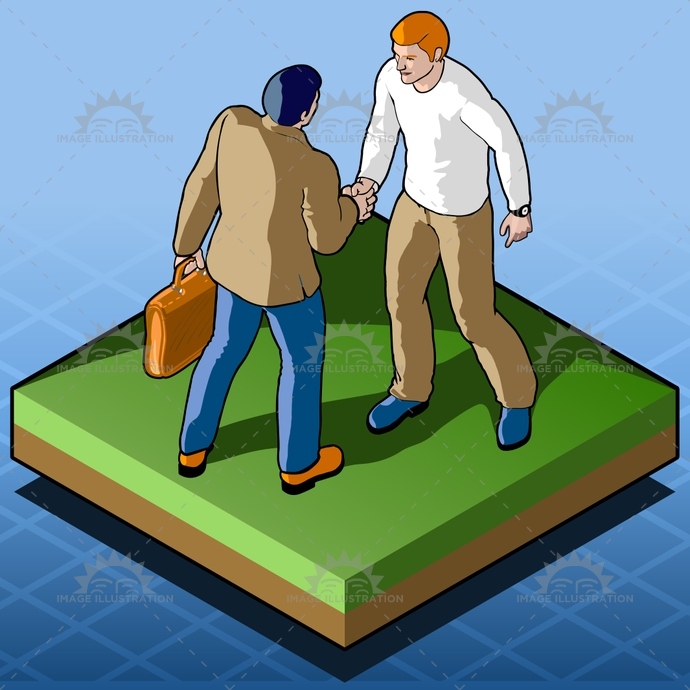 Stock product - detailed vector illustration - Isometric People Collection - Handshake - created by Aurielaki. Image formats EPS AI JPG. SKU: Handshake-People-Isometric-AurielAki. Category: Isometric worker. Tags: agreement, bargain, block, business, certification, construction, contract, delivery, employment, foreman, gesture, haggle, half, handshake, illustration, infographic, isometric, maintenance, manager, men, men at work, negotiate, people, plan, property, sale, startup, vector, worker.